Liniar’s bi-fold door range has been exquisitely designed for contemporary living. It’s equally as important that Liniar bi-fold doors withstand the worst of the British winter weather as well as help to create a perfect summer ambience. Our bi-folds have been rigorously tested to ensure that they far exceed appropriate British Standards for weather performance, and subjected to cyclic testing in our purpose-built lab. Ideal for family homes, the Registered Design protected Liniar low-threshold option creates a seamless entrance and exit without the need for messy and expensive excavation. An easy-access ramp, for wheelchairs and prams, can be created using an optional tray to seat the low threshold. Measuring just 24mm at its highest point, the ultra-low Liniar threshold is available in a choice of silver or gold finish, perfectly complementing the door hardware. Bi-fold doors are now more popular than ever and are fast becoming the must-have home improvement. Aluminium and timber are often thought of as the standard materials for bi-folds, but uPVC offers many more benefits; superior thermal efficiency, smooth operation, perfect matching of windows and doors and minimal maintenance. Your bi-fold doors will rival the most contemporary aluminium range on the market. 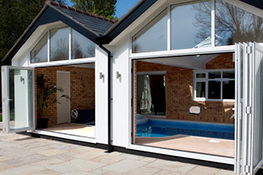 Not sure upvc bi-fold doors are the ones for you? Not to worry, have a look at the other styles Liniar offers. Liniar offered the very first fully bespoke uPVC bi-fold doors to be engineered, designed and manufactured in the UK – and we believe that Liniar bi-fold doors are still the very best. Whatever purpose you have for your bi-fold doors, the Liniar product provides a truly stunning alternative to French or patio doors. Liniar bi-fold doors have ultra-slim sightlines, providing rooms with a modern, clean appearance – and are available in a wide choice of opening configurations and colours. The innovative low threshold option is just one of the safety features included, making them family and wheelchair friendly. On top of all of that, Liniar’s bi-fold doors offer excellent levels of energy efficiency, alongside superb security features – this all adds up to create a beautiful space-saving solution for your property that will also hugely enhance its appearance. The installation of energy efficient windows, doors and roofs is one of the best ways you can save energy within your home. Mainly due to our innovative uPVC multi-chambered profile design, Liniar frames outperform most of the other leadings brands in the UK. 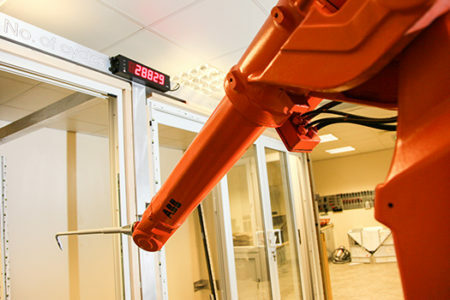 A door’s thermal efficiency is measure in U-values. These demonstrate the effectiveness of a door at stopping the movement of heat into and out of a property. The lower the U-value is, the higher the door’s efficiency at preserving the heat inside of a building when cold outside. The Liniar bi-fold range can achieve a U-value of 1.3 W/m²K when fitted with cost effective double-glazing units, which means you’ll be able to enjoy a warmer and quieter home as well as lower energy bills. Slim hinges have been added, with hidden fixings inside. This not only seamlessly preserves the sleek lines but increases security as it is impossible for them to be unscrewed externally. We designed our own innovative solution to enable us to offer a low threshold without the need for expensive and messy excavation. It’s often the little things that make a big difference – we’ve even designed folding keys to avoid any problems with keys being left in the locks during use. 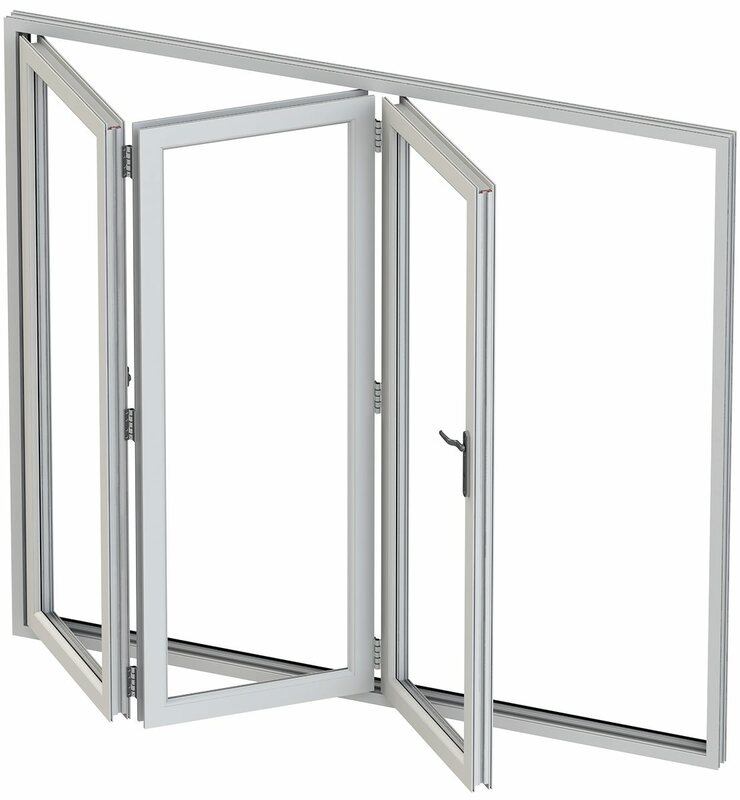 To see the correct procedure to open and close a Liniar bi-folding door, click here.